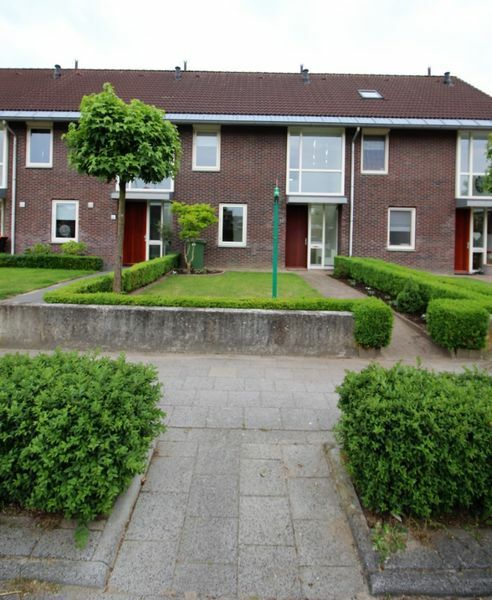 Beautiful house located in the residential area Graven Es in Oldenzaal, this spacious house has a beautiful front, back garden and storage. The house is available in consultation on short notice, rental period is 6 months with possible extension. Layout: entrance, spacious hall with loft, cupboard, meter cupboard and toilet with fountain, garden-oriented living room with patio doors and open kitchen, kitchen with dishwasher, refrigerator, 4-burner stove, hood and combi-oven. First floor: landing, 2 bedrooms, bathroom with toilet, sink and shower. Second floor: staircase, spacious attic with connections for washing machine and dryer. Zoek je een geschikte school in de buurt van de Wieldraaierlaan in Oldenzaal?